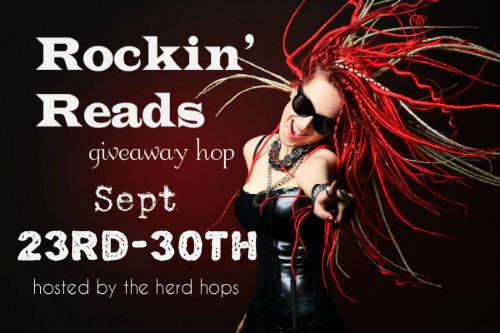 Welcome to the Rockin Reads Blog Hop. What a great privilege to take part. There are prizes up for grabs at all the blogs - find the links below. I'm giving away an ebook so keep reading. Ali’s never been so scared. She’s housesitting for a colleague on Halloween night, but the lights have gone out, and terrible noises and crashes send her imagination into overdrive. When her brother’s friend comes to her rescue, he kisses her in the dark three times. Once back in the light, Ali is embarrassed at allowing him to kiss her. Byron tries to ignore his strong attraction for Ali, especially seeing he’s not ready for a relationship. When Ali finds out why, she runs away, but life has other plans. What can bring them together? Fate, faith, or the memory of his Halloween kisses? The TV made a fizz, and the light from its screen compressed into a small dot. All the lights in the house went out. She sat frozen for a moment, unsure what to do next. This wasn’t her own home. Where did they keep candles and torches? At her place, she stored them in the kitchen drawer, and so did her parents in her childhood house. Wouldn’t that be the logical place? Blinking furiously, she hoped to find some light somewhere to guide her to the kitchen without bumping into something. Nothing. She couldn’t see a single thing. There was no moon tonight. Probably as overcast as it had been the whole miserable, rainy, windy afternoon. She spread out her hands in front of her and walked slowly, one awkward, terrifying step at a time. In the darkness, the sounds were magnified. Wind whined like a strangled prisoner through every window, door crack, and ceiling board. Something tapped at one of the windows from the dining room. Tap…tap…tap. Probably just a branch from a nearby bush. It couldn’t be a ghost or a zombie, could it? Her quickened pulse didn’t believe any logical arguments tonight. Images streamed through her darkened vision—pictures of real witches, zombies with bared teeth and deathly pale faces, and horrible creatures with horrific wolf-like snouts and sharp fangs. She shivered. For some reason, tonight, Halloween was getting under her skin. A crash sounded in the kitchen. Her leg remained poised for the next step, but she couldn’t take it. She couldn’t go in there. What was that? Terror strangled her a moment, making it hard to breathe. Possibly only the Bauman family cat, their little black and white tabby. A smile curled her mouth in response to the calming thought. Black cat—bad luck. Yeah, she sure was overthinking this whole simple inconvenience of a power outage. Something brushed past her leg, something warm, soft, and silent. Hot tears sprang to her eyes. I'm giving away a copy of His Halloween Kisses to a lucky commenter on this blog post. Tell me what would make you the most scared and whether a kiss would help? :) Please also put your email address in the comment so I can send you your prize. Good luck! I am scared of crowds and other people and seeing as I am scared of others a kiss would just make it worse. Thanks for the chance. Ghosts, and maybe a kiss would help? Heights. And, I doubt a kiss would help. Losing a dear beloved family member would make me frightened the most. And certainly in such case, a kiss will not help. I am scared of spiders and I doubt a kiss would help.. I am afraid of the dark. (Yes, I truly am.) If I was in a really secluded area that was really dark, I would be very frightened. I keep a light with me, but still...and depending upon who the kiss was from, YES, a kiss could definitely help. I am terrified of snakes and a kiss won't help! Thanks for the great giveaway. Hum... I think losing my daughter would be the most terrifying and a kiss wouldn't help at all. A really scary movie and yes a kiss would help because then i'd be in my honey's arms and not seeing the scary parts. spiders! I'm sure a kiss would help. It would distract me!